In today’s wedding venue spotlight we are featuring the Union Club of Cleveland. 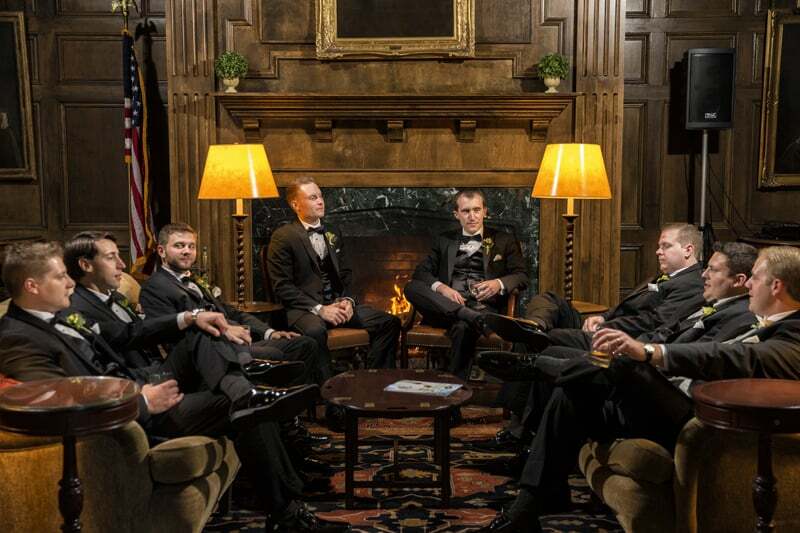 Like our last feature, Tudor Arms Cleveland, the Union Club is one of the best and most luxurious wedding venues in Cleveland, in my opinion. 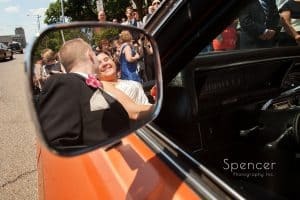 As a Cleveland wedding photographer, I’ve photographed quite a few weddings there and it’s become one of my favorite ceremony sites in downtown. When you enter the Union Club, you are greeted by the grand staircase. This is the spot for the most dramatic ceremony location within the space. 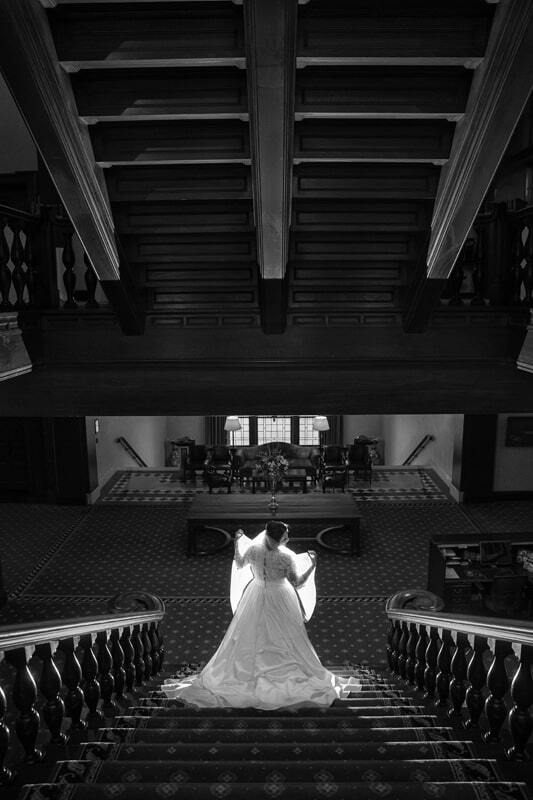 With a huge window at the top of the first landing, natural light spills onto the stairs providing great opportunities for ceremony pictures. 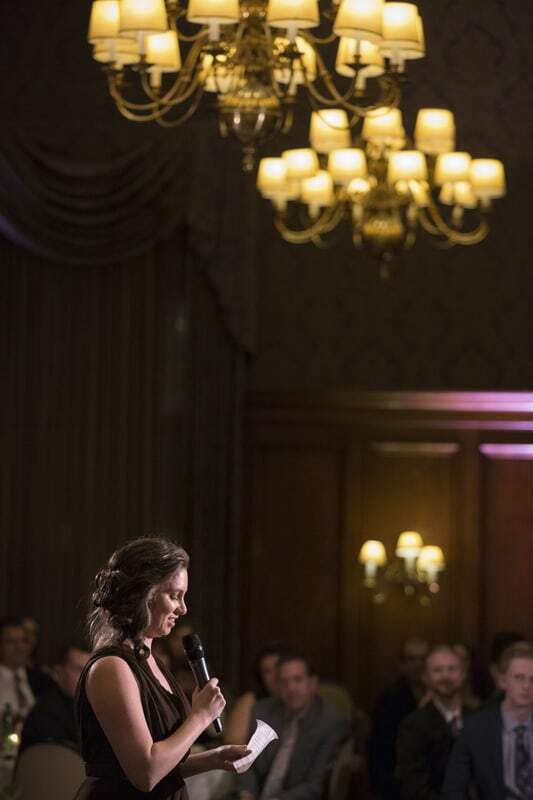 This is probably my favorite ceremony spot in the Union Club. 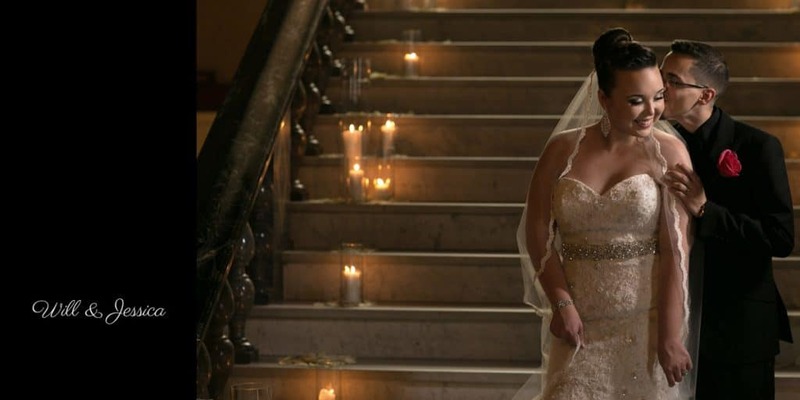 There aren’t too many locations for exchanging vows that are quite as dramatic. This spot is also very popular for traditional bridal portraits, wedding party pictures and family photos. 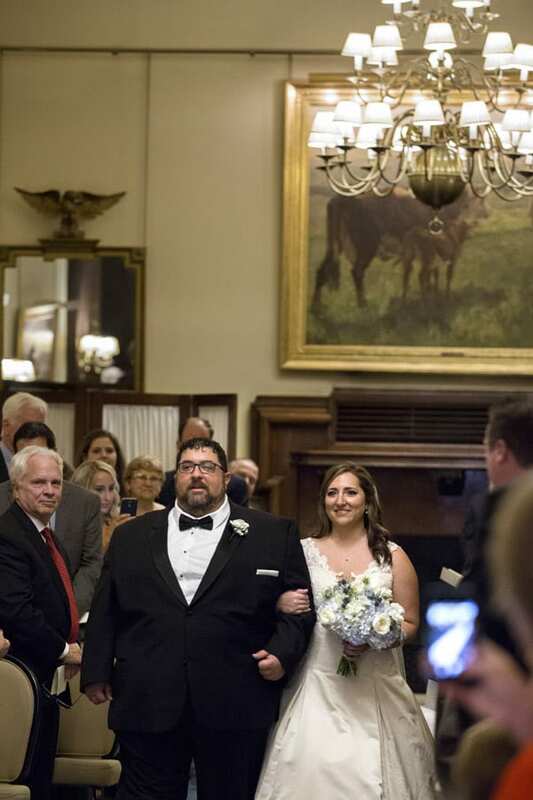 You can also have your wedding ceremony in the side room of the Union Club. This space is for a smaller, more traditional wedding ceremony. This is a quite, more intimate space. Often used if there are other events going on or if the couple want something a little more subdued. But subdued in the Union Club is still gorgeous. 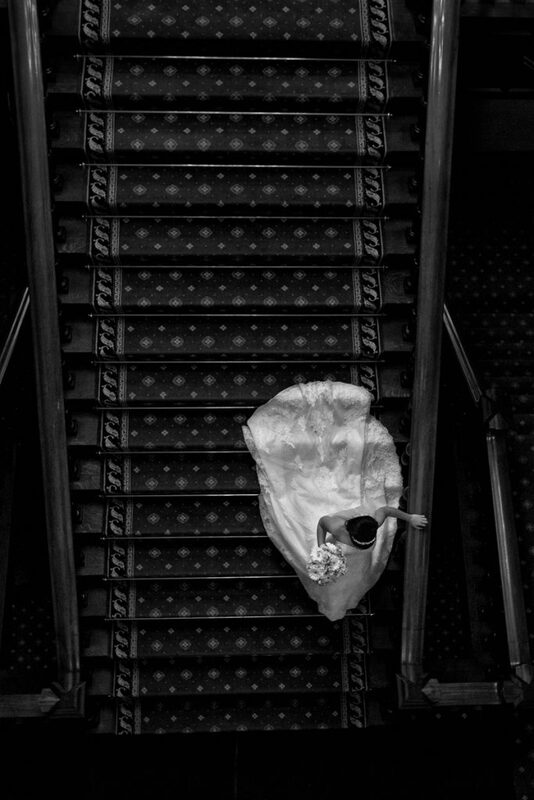 Once the wedding ceremony is over, you really don’t have to leave the space to get dramatic wedding pictures. This is a great strength of the Union Club. There is beautiful light and textures all over. There is something inspiring about the rich wood, the marble floors, the painted portraits. I always feel especially motivated when it comes time for creative wedding pictures there. 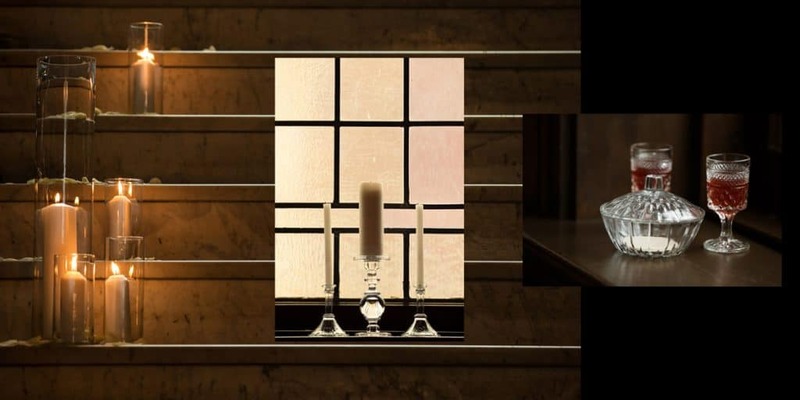 The contrasty nature of the light within the space is great for me stylistically. 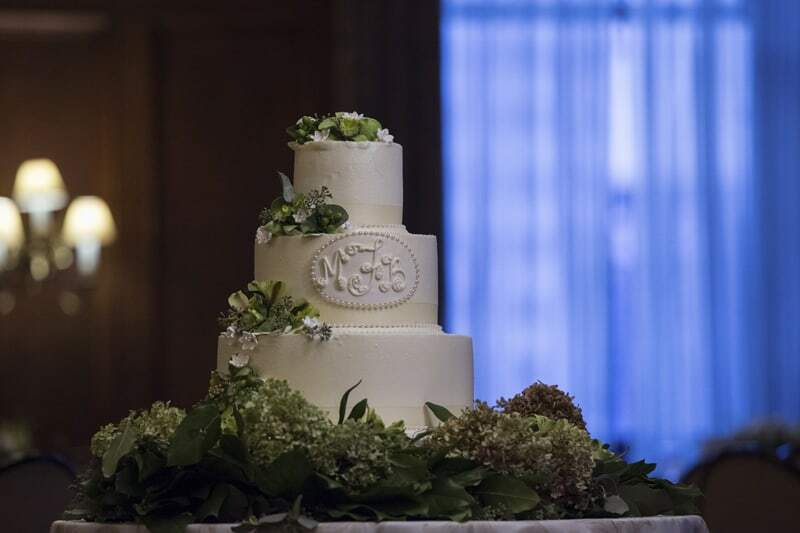 Although this post is about wedding ceremony venues, just like the Tudor Arms Cleveland, the Union Club of Cleveland is a perfect location for your wedding reception. 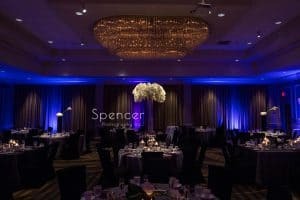 A luxurious and more traditional approach to your reception, the space is gorgeous. The staff is always extremely attentive so you won’t have to worry about the minutia that is part of setting up your celebration. 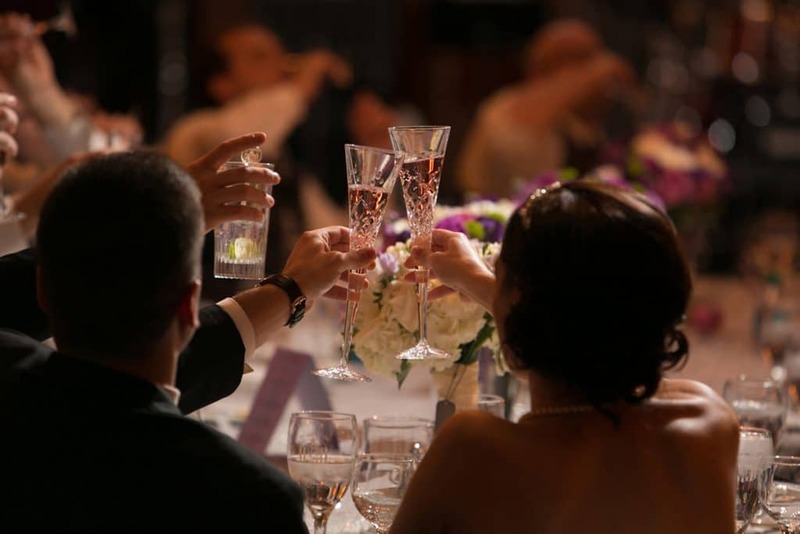 I’ve written about the convenience of have your wedding and reception in one spot. 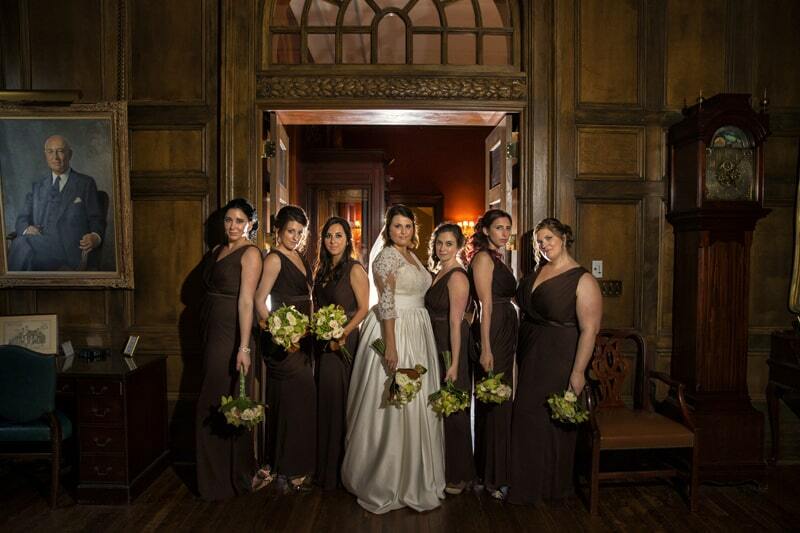 One huge benefit of having both your wedding and reception at the Union Club Cleveland is that you can stay there. They have suites that you can use to stay the night before, for getting ready on your wedding day, and stay the night of your wedding. This makes it super convenient in that you don’t have to leave the facility. And if you want wedding pictures offsite, Playhouse Square is, literally, right outside. Also, you are within walking distance to Progressive Field, Quicken Loans Arena and a short jaunt to East Fourth Street, which is one of the most popular locations in Cleveland for pictures. 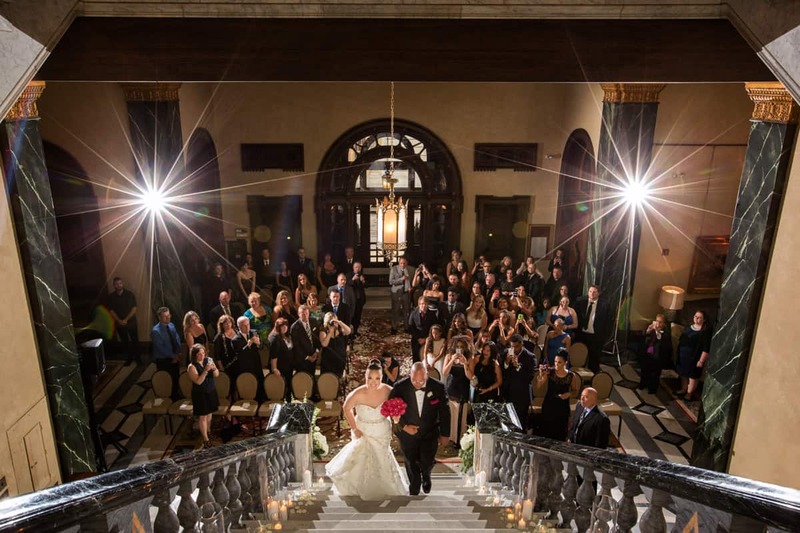 If the vision for your wedding day is that of a high end, luxurious location, the Union Club of Cleveland is an obvious choice. 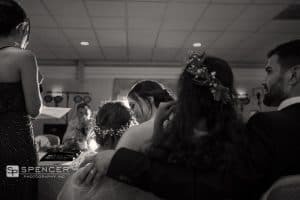 Great staff, beautiful and convenient location and, best of all, great wedding photographs. 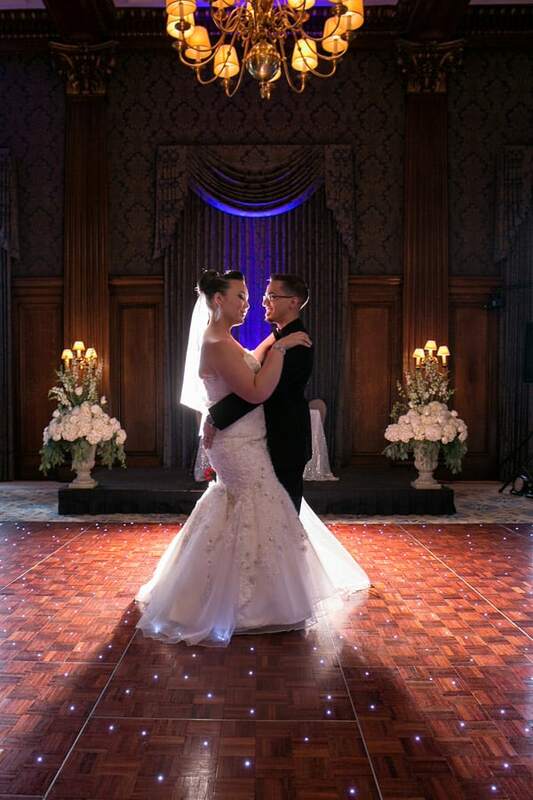 That is why it’s my list of best wedding reception venues in Cleveland and now on my list for best locations for wedding ceremonies in Cleveland.